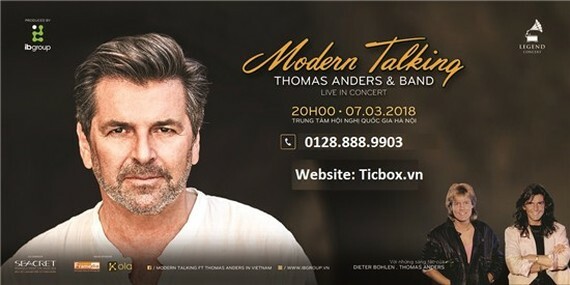 Star of 1980s, German music band Modern Talking's soloist before the band was dismissed, Thomas Anders will come to Hanoi on March 7 with world-renowned hits. Thomas Anders will perform hits by Modern Talking and his solo hits for Vietnamese fans in the capital at the National Convention Center. Modern Talking was a German duo consisting of Thomas Anders and Dieter Bohlen. They have been referred to as Germany’s most successful pop duo in 80s, and have had a number of hit singles, reaching the top five in many countries. Some of their most popular and widely known singles are “You’re My Heart, You’re My Soul”, “You Can Win If You Want”, “Cheri, Cheri Lady”, “Brother Louie”, “Atlantis Is Calling (S.O.S. for Love)” and “Geronimo’s Cadillac”. Modern Talking worked together from 1984 to 1987, when the band split up. 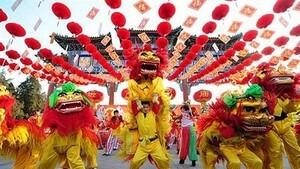 In 1998, they reunited and stayed together as a group until 2003. In November, 2016, Thomas Anders gave a successful performance in Hanoi, attracting a large number of music lovers.